The People of Equipment Sales & Service! Equipment Sales and Service proudly represents Chevron and Dynamic two of the leading towing and recovery equipment manufacturers in the world. In addition we also distribute SP 8000/20,000 side pullers, we are a full line distributor for all Zacklift Products, Sneeker Products, and B & B industries full line of Recovery Equipment. Since 1959 our company has been one of the northeast’s largest providers of Towing and Recovery Equipment and Accessories. 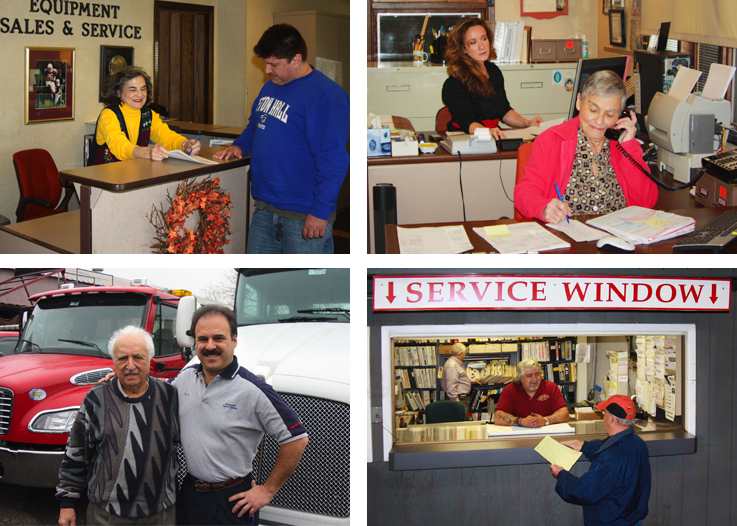 Our two-acre full service facility houses SALES, SERVICE, and a fully independent well-stocked PARTS department. Our dedication to providing unsurpassed service and quality workmanship are well founded in the commitment, time, and investment we make every day in servicing our customers needs. In fact this has been our single utmost sustaining element. In our history we have, at one point or another, represented almost every major Towing and Equipment manufacturer. Therefore, we can offer expert Sales, Parts and Service on a host of affiliated products from companies such as Miller Industries, Century, Holmes, Trail-eze, Challenger, Champion, Eagle, Vulcan, Jerr-Dan, NRC, Danco, Weldbilt, NoMar and Wreck-Master. Our office staff is there to assist with every need. An experienced sales staff guarantees prompt and reliable customer relations. From reception to invoice management, our accounting and billing department assures accurate prompt customer service. Since 1959 our formula for success and professionalism has only been enhanced by a commitment to individual service that continues long after the sale. Downtime programs are designed to prioritize repair for emergency service vehicles and contractual on call equipment in order to minimize out of service times. The name Equipment Sales and Service has always been synonymous with value, quality, and industry innovation. “JOIN THE TEAM” let us show you the Equipment Sales and Service difference.